As a Police Officer I associate the color red with fire fighters and Hells Angels. I really have a bad taste in my mouth for the color red. I've shot lead bullets, they are messy and smoky, I've shot blue bullets, and they make my fingers, and feed ramps blue. Plus they seem to have a softer exterior than the red ones. 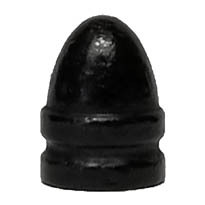 I've shot black coated bullets, And although they are okay, they are more expensive and don't offer the bullet weight and profile of the 185RN. Of course FMJ would be best, but they cost so much more. 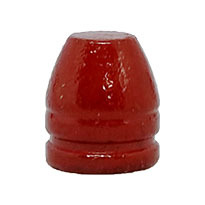 So I will continue to send thousands more red bullets downrange as I proudly wear my Badman Bullets hat. As always your product and customer service is top notch. Order-to ship- to receive time is the best. I have been reloading for 12 years and used many different suppliers. I can state unequivocally you are the BEST. Lifetime Customer. Thanks Patrick and the rest of you all. Once again Badman comes through. After some initial problems, Patrick worked with me tirelessly, even sending me some 'inert' rounds. It seems it was 'user' error. This was the 1st time I reloaded 'leads' for my semi. I always used FMJ's or Copper Plated going on the 'less is best theory' when it came to crimping. Also employing the 'Seat and Crimp' Die from Lee. 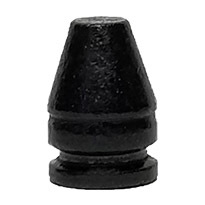 However by simply using the Factory Crimp Die and dialing down one full turn, these bullets chambered and fed better than the others. Accuracy was unparalleled. Seems you can teach an 'Old Dog' new tricks, it just takes longer. I'm a lifelong customer now. This is a great bullet for shooting WildBunch. It chambers every time in my Remington R1 and RIA 1911's. Every other bullet I've tried has served up mixed results. The Badman bullet is the only one I'll use for WB. Great people to do business with !!! Got 1k of these to run through my DW Valor CBOB. Had problems feeding at 1.250 coal. Went to coal of 1.265 & fed very well. Minimal barrel leading, easily cleaned with brass brush & a little "lead out" solution. 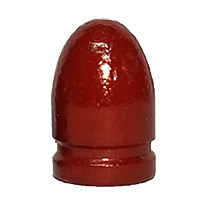 Excellent bullet, looking forward to the 200 gr. If they ever have them in stock. 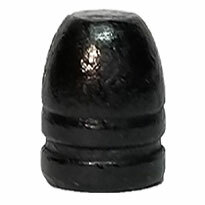 Barrel leading in this instance would be caused by using too much crimp and/or not enough case bell while seating the bullet. If the polymer coating is scraped off when seating you will have leading problems. Fast service, quality products and great prices. How could you ask for anything more?